Siemens in Lincoln has announced that it will be building a Global Service Operations Centre at Teal Park in the city. 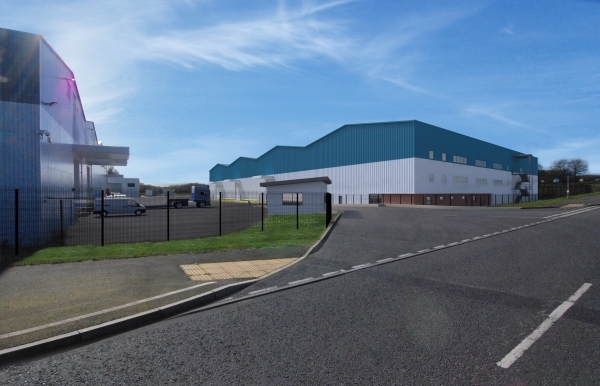 This will enable Siemens to relocate the Small Gas Turbine parts and engine storage currently based at Freeman Road, Lincoln into a state-of-the-art 7,000 square metre facility. Located next to Siemens’ existing Teal Park overhaul facility, the new Global Service Operations Centre will help to improve efficiency by having everything in close proximity such as spare parts, turbine engine units, tooling and safety equipment. It is hoped that building will begin in May 2017 and be completed by January 2018, with around 40 employees and current activities moving to the new site by Spring 2018. In addition to the new development, Siemens will also purchase the original 11 acre Siemens’ Feilden House site on the Teal Park industrial estate. The total cost of investment in the new development and the purchase of the original site will be in the region of £35M. This marks a positive step for Siemens in Lincoln and the Industrial Gas Turbines product line, providing a world class solution for its global customer base. There are no jobs at risk as a result of this investment and no other Siemens sites including Main Works in Lincoln will be affected. A Siemens spokesperson confirmed that further information will follow as the project progresses.